Dennis Woody has served as an attorney in the Orphans’ Court in Delaware County, the court that handles estate, trust, guardianship and adoption matters pending before the Orphans’ Court. In this capacity, he has mediated hundreds of cases regarding estate and guardianship disputes. He has planned and participated in numerous seminars for his colleagues in the area of estate planning and estate administration. Dennis earned his Juris Doctorate at Temple University. He attended St. Joseph’s Preparatory School and earned two Bachelor of Arts degrees at the Pennsylvania State University. 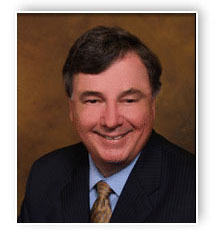 Dennis is presently a member of the Pennsylvania Association of Justice, Pennsylvania Bar Association and the Delaware County Bar Association and is admitted to practice in the United States District Court for the Eastern District of Pennsylvania, the Third Circuit Court of Appeals and all Pennsylvania Courts where he represents numerous clients at the trial court and appellate levels. He currently serves on the Advisory Board of the Delaware County Community Foundation and the Mothers Home in Darby. He also serves on the Springhaven Country Club Board of Governors. Dennis lives in Delaware County with his wife, Donna. Their two children also live in Delaware County.